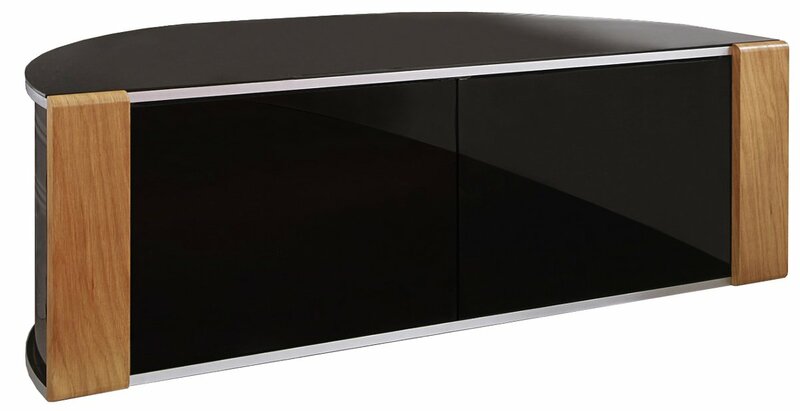 This eye-catching cabinet comes with black glass doors which are remote-control friendly so you don't need to open them for your equipment to work. An oak trim adds the perfect finishing touch along with cable management and adjustable shelves. Please note: Screens larger than 50" will overhang the stand at the sides, this is perfectly safe & normal. All measurements supplied are for overall sizes. Please check your product or contact us if unsure. Nice looking and overall easy to build. Glass doors bit fiddly to fit but apart from that all good! 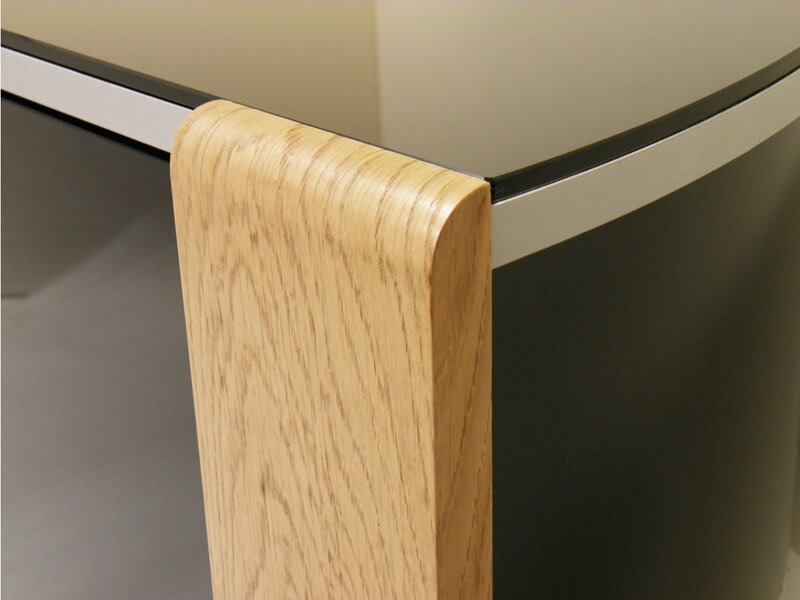 AVF FS800BUCO Buckingham Oak TV Stand for up to 40"
Are there ready cut holes at rear of cabinet for cables to exit. Many thanks. The design allows cables to exit the rear through two concealed slots. There is plenty of room for multiple cables to exit as they run from top to bottom.Hope this helps. Ive had mine for a couple of years and the signal is received fine by the Sky Q, Amp Blu Ray and Xbox. Yes, it fits neatly and no, it comes in pieces, but is easy to put together, in my experience. mine is set back in a recess, but would go into a corner depending on your space, the dimensions of the unit it are 50cm depth, 120cm width. Pretty sure it was assembled but glass bits were packed and had to be fitted. I have a LG 49" tv with legs rather than a central stand. The legs are 104cm apart and 24cm wide. Will this stand be suitable, bearing in mind the curved nature of it? I have informed you that it's too large for the cabinet in question and judging by the size of the LG tv it, like me, is gettimg on a bit! 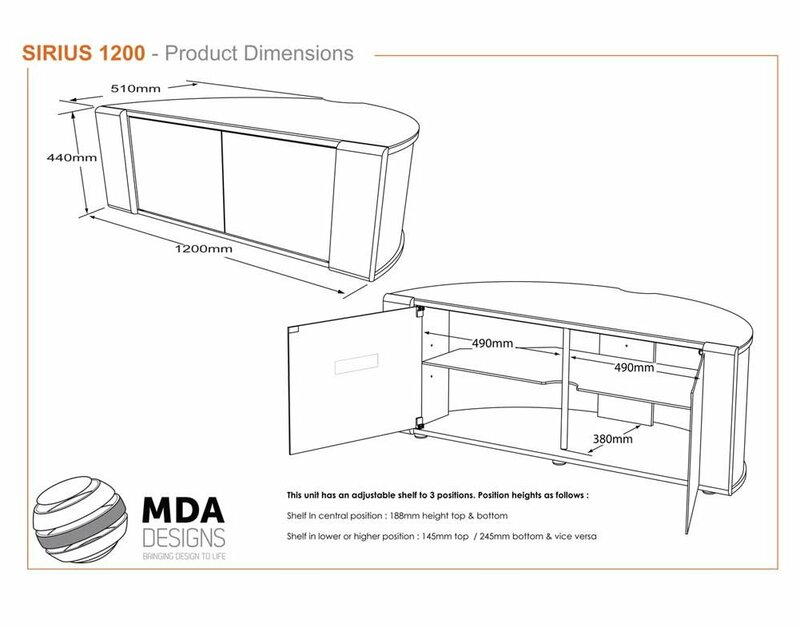 I don't want to sound patronising but in view of the cost of these units (which are self assembly) wouldn't you be better getting a later model tv around 50" screen that will easily fit on the stand? 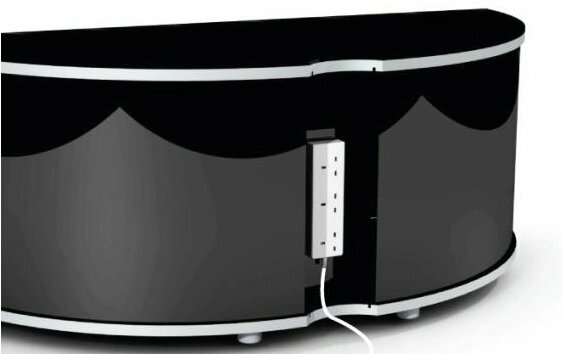 Does the glass screen attenuate the rf WiFi signal if the BT Router is installed inside the cabinet? Has anyone housed a BT Router. Is the WiFi signal coverage degraded if operated behind the glass screen? Do I have to cut holes for cables? No cut out at the back of the cabinet? I have an LG 49 if tv which has two legs rather than a centre stand. The legs are 94 cams apart and 24 cams front to back. Will this tv fit onto your unit please? Based on your measurements of 94cm you will have 30cm clearance from the front edge to the back radius. In my opinion it will be fine.